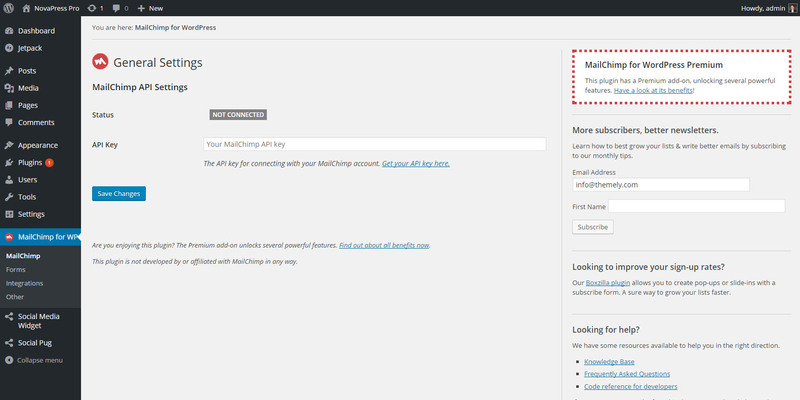 In your Admin Panel go to Mailchimp for WP > Mailchimp. You will need to connect the plugin to your Mailchimp account with your API key. 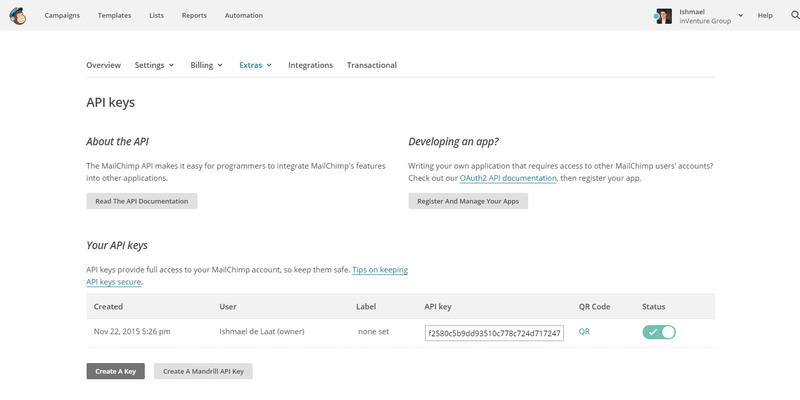 Click on Get your API key here to be prompted to log into your account to find your API key. Once logged in; copy and paste the API key. For the final step, in your admin panel, go to Mailchimp for WP > Forms. And copy and past the following code into the form field. NOTE: If you have imported the live demo site content, the form code will already be there. You just need to click Save Changes for the new form code to take effect.